A well-designed and constructed pavilion (or pergola) can add an air of elegance and polish to your outdoor environment. In a more practical sense, it will give you a place to arrange some outdoor seating so you can enjoy the great outdoors in absolute comfort. If the nights in your area tend to be a bit cool, you might want to add some warmth to the setting. Here are some tips to help you select and build a pavilion with an indoor fire pit. Start by selecting a site and a design for your pavilion. You must determine how close you want it to be to other structures on the property, how large, what shape. Visit a local hardware store to find plans you can follow to build your pavilion. 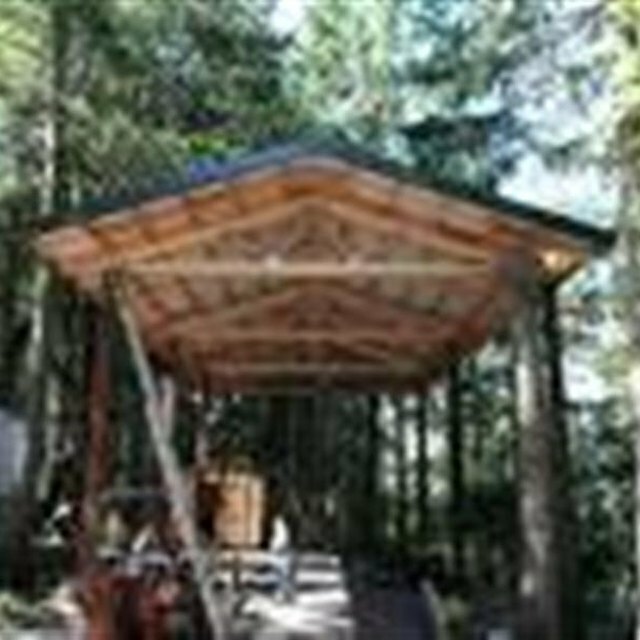 Purchase materials as specified in your building plan, or find a pavilion (pergola) kit. Pour a concrete foundation or lay bricks or slate, according to your taste. You can set your pavilion directly in the ground. Construct your pergola or pavilion according to your building plans. Install upright 4x4 posts to support the roof of your pavilion. If you're not putting it on a slab, dig post holes and secure your posts in the ground (you might want to anchor them with cement). On a slab, install steel post anchors to hold your posts. Make certain your posts are vertical-use a level to check. Install support beams across the top of two posts on opposite ends of the pavilion. You can use 2x6 lumber, one piece on the inside of the posts and one piece on the outside. Install cross beams perpendicular to the support beams at regular intervals across the width of the pavilion. These will be the "roof" of your pavilion. Determine how you will furnish your pavilion. 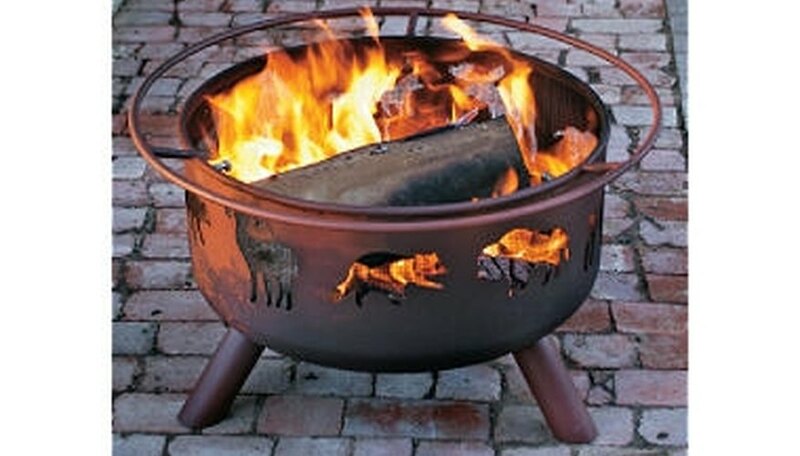 If you're using rustic western furniture, you might want a decorative iron fire pit; if your outdoor decor is more elegant, you will probably want a fire pit to match. Decide what kind of fuel you want to burn in your firepit. 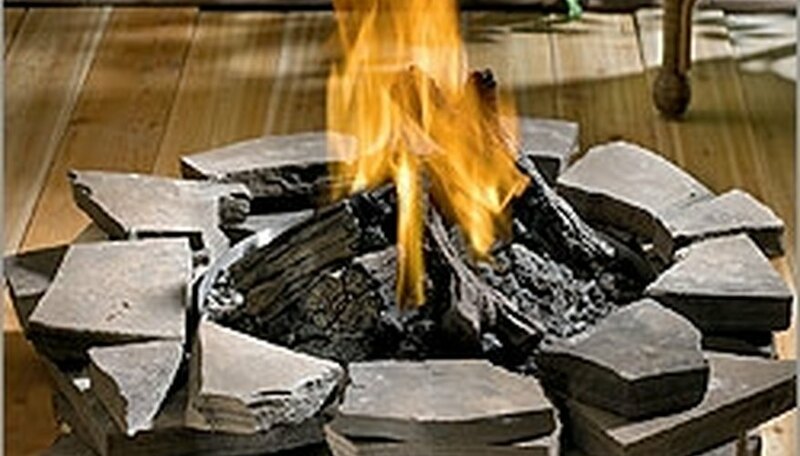 Because you’re putting it under a roof, you might prefer to install a gas fire pit. Evaluate the roofing materials in your pavilion for fire resistance–you don’t want to set the thing on fire when your firepit throws sparks. You may want to put screens on a wood-buring firepit to prevent disaster. Place your firepit inside the pavilion in a way that will make it safe. Keep flames and sparks away from the roof and side walls; make certain the area is well ventilated. A fire pit in your pavilion is lovely and warm, and it is also a hazard. Be very careful when using the fire pit.